You have heard of public art, but have you seen public artists in action? Next week, Thursday, February 27th, you may see artists with easels all around town. The group, called the Plein Air Painters of Utah, paints together once a month and this month they will be inspired by the beautiful Morgan valley scenery. “Plein Air” is a French term, meaning painting in the open air. The mission of the Plein Air Painters of Utah is to create, promote, and educate the public regarding plein air painting”. Their statement also goes on to say, "We desire to strengthen the camaraderie and carry on the tradition of painting outdoors. We encourage creativity and the pursuit of excellence and will uphold to the highest degree of professionalism and quality of paintings created by the members of this organization. Through our paintings, we wish to celebrate the spontaneity and freshness demonstrated by those exceptional plein air painters of the past." Morgan resident and Plein Air member, Lauri Eskelson shares that, “for centuries, artists have realized the importance of painting directly from life, observing firsthand the colors and values before them. The artist paints as quickly as possible, capturing the scene on canvas, before the light completely changes. This has become quite popular again over the past several years, and many "plein air" festivals have emerged throughout the entire country. Artists will travel to the location, paint for several days, then submit their works to be featured in an art show at the end of the event”. 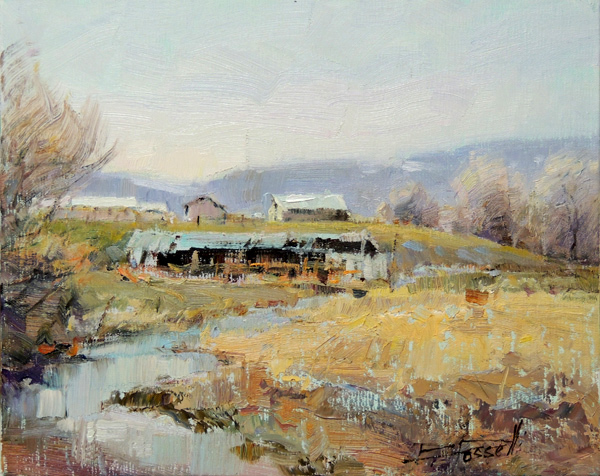 With about 25 members in the group, the Plein Air Painters of Utah have painted everywhere from Cache Valley to Southern Utah. Many of the paintings created that day will be used for future paintings. Others may show up on the individual artist’s website or might be included in future shows. Some of the art will be made solely for the pure enjoyment of painting outdoors that day. These artists get excited to get out of their studios and talk with other artists that share their same interests, talk about experiences and paint from dawn to dusk. Being outdoors gives them such a different experience that helps boost their creativity. While the exact venues for the painters have not yet been set they will be in various locations around the valley. All of the artists in the group are professional, working artists who love sharing their talents with others. So if you see an artist with their easel set up alongside the road, give them a friendly wave!